Musicals follow fashion, but are some trends better than others? Hit shows are not created in a vacuum, but sometimes they fill one. Success breeds imitation and more success – and some inevitable failures, too. Hence, the flood of successful jukebox musicals, recycling old pop songs into new stories, that followed in the wake of the global hit Mamma Mia!. 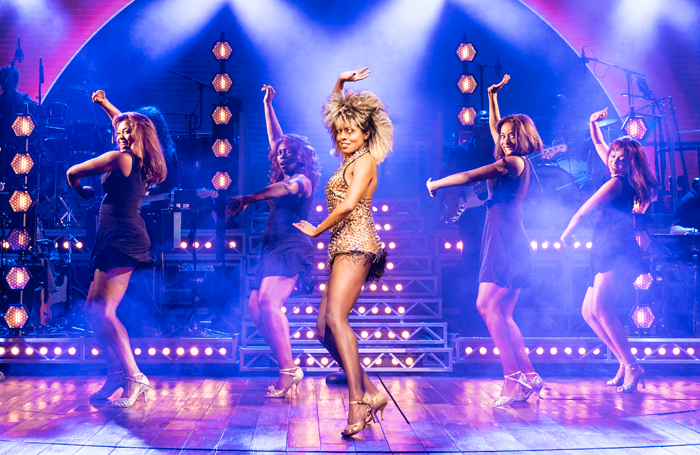 Similarly, there’s been a spate of shows based on the life stories of songwriters: Jersey Boys (Frankie Valli and the Four Seasons), Beautiful (Carole King), Summer (Donna Summer) – each still running in New York – or Tina (Tina Turner) now in the West End. They will be joined this season on Broadway by The Cher Show and Ain’t Too Proud – the Life and Times of the Temptations. Less successful examples have included Viva Forever! (the Spice Girls) and Escape to Margaritaville (Jimmy Buffett). Another trend is to adapt well-known movie titles into musicals: Heathers has just arrived in the West End and King Kong will be unleashed on Broadway next month, complete with a giant animatronic gorilla. Also previewing in Chicago (ahead of a Broadway transfer) is a stage version of Tootsie. This genre has been around much longer than jukebox musicals, contrary to Hadley Freeman’s claim in her Guardian review of Heathers: “Films adapted for the West End are the new jukebox musicals, stories seeking out songs as opposed to songs in need of a storyline.” It extends back to many classic shows – including Sunset Boulevard, Little Shop of Horrors and Nine to name just a few. There are still thousands of back catalogues yet to plunder, but the law of diminishing returns may eventually apply as audiences crave more than a live version of a Spotify playlist. More daring shows have arrived to reinvigorate the form, inevitably led by Hamilton (which will no doubt lead to imitations), but also including other musicals based on original material such as The Book of Mormon, Come from Away and Dear Evan Hansen. As the Broadway musical has found its feet and confidence again, it’s interesting to reflect that during its last big crisis in the 1980s (which coincided with the loss of many of its major artists to HIV/Aids and a New York theatre district that had become run down) the vacuum was filled by the resurgence of Anglo-European musicals that returned the form to its roots in continental operetta. Andrew Lloyd Webber’s through-sung pop operas on Broadway included Cats, a revival of Joseph and the Amazing Technicolor Dreamcoat, Song and Dance, Starlight Express and The Phantom of the Opera. The first and last of these were co-produced with Cameron Mackintosh, who also launched a separate British invasion on Broadway with Les Miserables and Miss Saigon. The success of these shows led to a slew of European-originated pop operas that included flops on Broadway for shows such as Chess and Dance of the Vampires, while Europe also sent the West End Notre Dame de Paris. While very much in the Les Mis/Phantom mould, this was nevertheless its own beast: a pop-based pageant of thrilling songs and rousing, circus-based spectacle, with acrobats propelling themselves up and off a vast climbing wall. Last weekend, that show celebrated the 20th anniversary of its first Paris performance, and it has been in nearly constant production around the world in the intervening years. As it happens, I saw it again last week in Montreal, in its original French, before it comes to the London Coliseum in January. It made me realise that nothing succeeds like excess – a fact that also explains the current London stage success of Bat Out of Hell the Musical, which is heading out on a separate US tour from November. Some of these trends are more welcome than others. I crave original musicals more than anything else, and even if they’re sometimes hard to find in Britain among the reliance on revivals and transfers from Broadway, I’m encouraged, at least, by the ongoing success of Everybody’s Talking About Jamie in the West End, as well as such form-shifting work as Wasted and Misty, at Southwark Playhouse and Trafalgar Studios respectively, and Sylvia at the Old Vic.